We all get to choose. Not choosing is choosing. We get to choose if we will fully surrender our lives to whatever the adventure is that God places in front of us. We get to choose to follow. We get to choose to obey. We get to choose to live fully. We get to choose. Day in. Day out. You may not get to choose exactly what your adventure looks like, but then it wouldn’t be an adventure. Your choice is how you will jump in and join God’s adventure for your life. Time won’t wait for you. It won’t hold a place for you. It won’t thank you for your thoughts. It may give you another opportunity, but regardless of what you choose, it will keep on going, but your time will run out. How you choose to spend your allotment of time is completely up to you. On the other side of your fear, resistance, doubt, and insecurity is an opportunity to invest your time wisely. To quit thinking about yourself and step outside that bubble to invest in the lives of others. We’re given the opportunity every time we step outside our front door and interact with people at work, people in the grocery store, teachers, and anyone else we come in contact with. Give your life away, every single day. Meet Katie Davis and Amazima Ministries. The ministry is located in the poor country of Uganda. Amazima currently sends 400 orphans to school. Feeds 1600 displaced children in the slum community of Masese. They have partnered with local Ugandans implementing self-sustaining vocational programs so the people can have the joy of providing for their own families. They also foster spiritual growth activities and Bible studies in six villages. So as you can tell, they are busy doing a lot, with many future projects on the horizon. So if today if you to need to choose to jump and give your life away in a tangible way, here’s a great place to start. 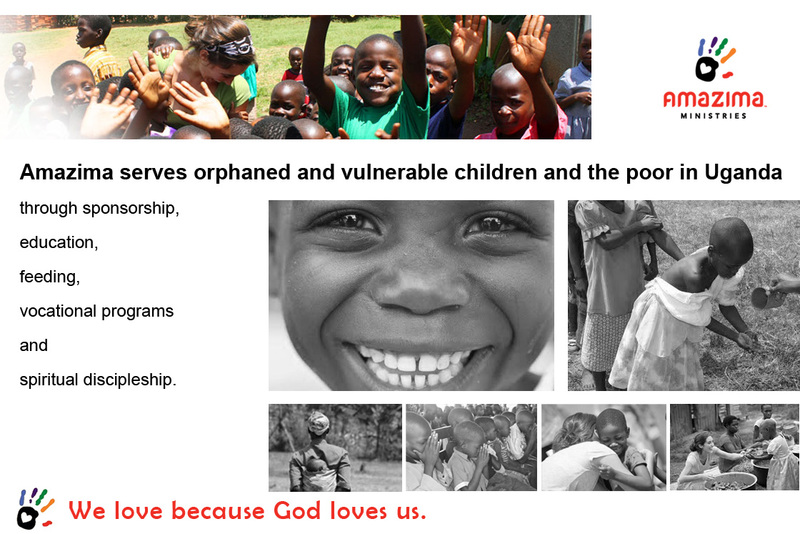 Partner with Amazima and all that God is doing there by donating here, or send them an email with some encouragement. Add them to your daily prayer list and cover them and all they’re doing in prayer. If you want a wise place to invest your time and your money, they are a sure investment! Hope you all have a wonderful Friday and great relaxing weekend! No I haven’t, thanks for sharing!